500 AKZ of each Restaurant Week Menu sold is donated to a charity of our choosing. In 2014, Angola Restaurant Week's maiden year, we raised over 300,000 AKZ for the Okutiuka Orphanage in Huambo thanks to the 26 participating restaurants' sale of about 3,000 Restaurant Week Menus. 100 AKZ of each menu sold was donated to Okutiuka, who in turn used the donations to pay for medical treatment for several of their youngest boys. In 2015, we raised the donation per menu sold to 500 AKZ and were able to raise over 1,300,000 AKZ for Lar Santa Madalena, an orphanage and school in Luanda's Cazenga neighborhood. The orphanage's structure was wholly inept to deal with Angola's rainy season; our donation helped with general repairs, allowed the school to build an entire second story and to buy a new stove for its large kitchen. Centro Social Santa Barbara, also known as the Mama Muxima Orphanage, was the institution we chose to donate to in 2016. Angola Restaurant Week was able to raise over 4,270,500 AKZ for this orphanage. "Currently, our orphanage only survives thanks to donations we get from well-wishers," said Sister Lucrécia, the woman responsible for running the orphanage. According to Sister Lucrécia, the orphanage's main problem areas are providing adequate food, clothing, and funds to pay for high school fees and annual medical bills. Without proper funding, health costs are the most difficult do deal with. Angola Restaurant Week's donation helped to diminished the Mama Muxima's financial burdens, albeit only for the short term. Last year, following the event's continuous growth, the institutions that benefitted from Angola Restaurant Week 2017 were Pequena Semente Orphanage in Cacuaco and the Center for the sheltering of street children, Dom Bosco, in Sambizanga. Each one of these institutions received 2,192,000 AKZ. Founded 13 years ago, Pequena Semente Orphanage is the result of a personal initiative of Pastor Frank Cassule, which is house to 103 children of both genders, between 4 and 18 years old. The orphanage has a primary school, which children attend from 1st to 6th grade. Dependent on the occasional solidarity of individuals and businesses, unfortunately they are not always able to meet the needs for food, health assistance and education. 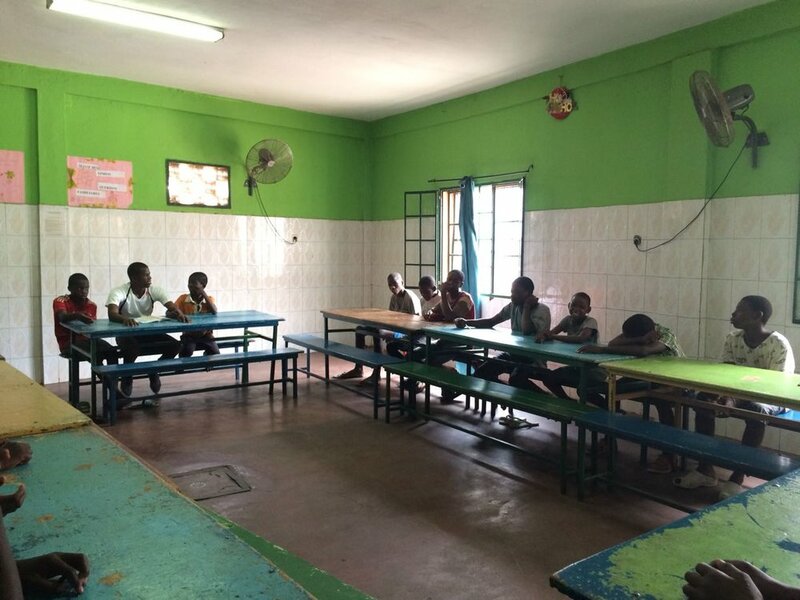 The Dom Bosco Center, as far as we know, is the only center that shelters street children in Luanda, with an impeccable structure and a very strong commitment to their mission. The center has several work teams that have their functions well defined, in the main stages of working with the street children: the Search Team, which is in charge of making the first contact with the street children, walking around the streets of Luanda and trying to convince them to go to the center; the team responsible for the academic training of the boys who decide to stay in the center; and the professional training team, in partnership with the Catete Professional Training Center.